Cheryl, a graduate of Ohio Institute of Photography, has won numerous state and regional awards and has earned her Masters in Photography. She was awarded the LSPP’s “Photographer of the Year” for the 3 consecutive years, and she has earned her Ohio CPP Certification and PPA Certification. In 2006, Cheryl received her Master Photographer Degree. Cheryl is a member of Professional Photographers of America and Professional Photographers of Ohio. This allows her to attend many seminars to improve her photography techniques and keep up with the newest trends in photography. All portraits are taken with professional equipment and printed at a professional lab to ensure the highest print quality. which is why she works by appointment only. No high pressure sales pitch here. 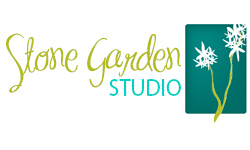 Stone Garden Studio is celebrating being in business for over 25 years!